Ilya Kuvshinov is a comic artist from Russia based in Japan. He's known for his beautiful illustrations of female characters. He has over 1.2 million followers on Instagram at the time of this review. Let's just say that people love his work. This 192 page paperback collects the beautiful illustrations that he's known for. The artworks are amazing. There's definitely Japanese influence in the way he draws and colours his characters. There's the manga style going on, but the artworks are actually painted (probably digitally) and not in the line art manga style. This is a fantastic book. 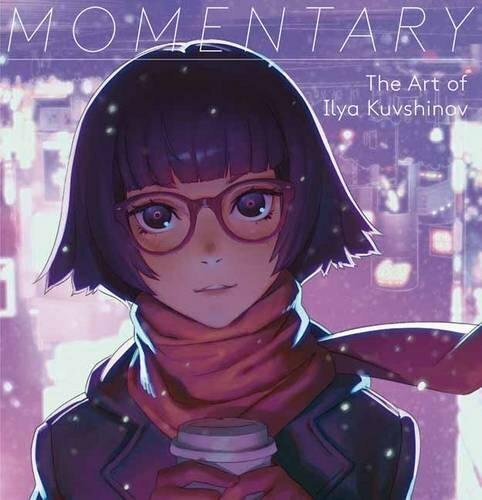 If you're fan of Ilya Kuvshinov, or someone who likes Japanese style illustrations, this is the book to get. The book was originally published in 2016 and has since been reprinted four times. His art is absolutely stunning and his technique is incredible. I came close to buying this but was unfcomfortable with how young some of the women/girls appear and it made me pause and worry that this kind of art is at risk of sexualising children. Am I being overly sensitive? I guess this criticism of manga/anime has been around a while. You are overreacting. There even isn't any sexual content. I love his art. It's very inspiring. i will never support this artist again. I was a patron on his patreon but after I found out he got exposed for fraud (selling traced pictures) I decided to stop supporting him. Do your research people! Don't be sheep!